Hildi and Thom are two devoted trolls who live with their animals, tucked away from the Big People in a Norwegian forest. They enjoy a simple life, in harmony with their surroundings and at peace with the world, until Thom fishes a weed-covered Viking casket out of the fjord. "Hor excitig!" exclaims Hildi when they break open the lock. Neither realises how valuable the contents are but the stranger who knocks at their door early one morning certainly does. When Thom visits the Big People's town of Bergen to sell the Treasure, not only does he leave Hildi in danger, but he also risks the True Inheritance of all the trolls, which he has vowed to guard with his life. Thom's challenge to the Big Men wins an unexpected ally, but still he has to face a struggle between good and evil. 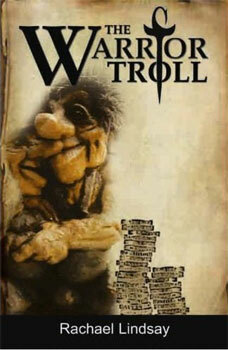 Can gentle Thom protect the Troll Treasure? How does he become a Warrior Troll?